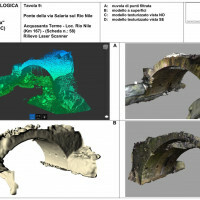 Bologna University archaeologists’ interest in the Mid-Adriatic area and the Marche region in particular goes back a long time and has its roots in the studies begun by Nereo Alfieri, an archaeologist from the Marche region who discovered Spina. 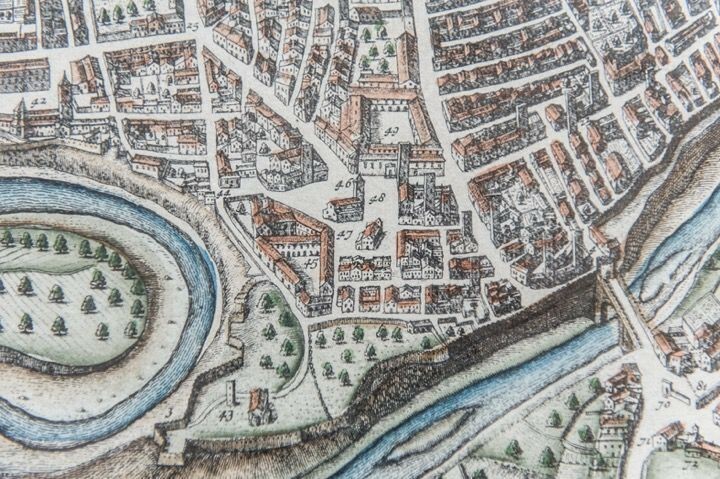 He was the founder of Bologna’s school of Landscape Archaeology. 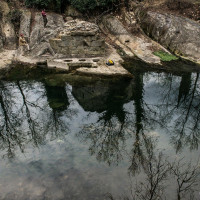 His drive was behind some of Bologna University’s important projects, such as those of Colombarone and the still ongoing Suasa project along the Cesano river Valley. 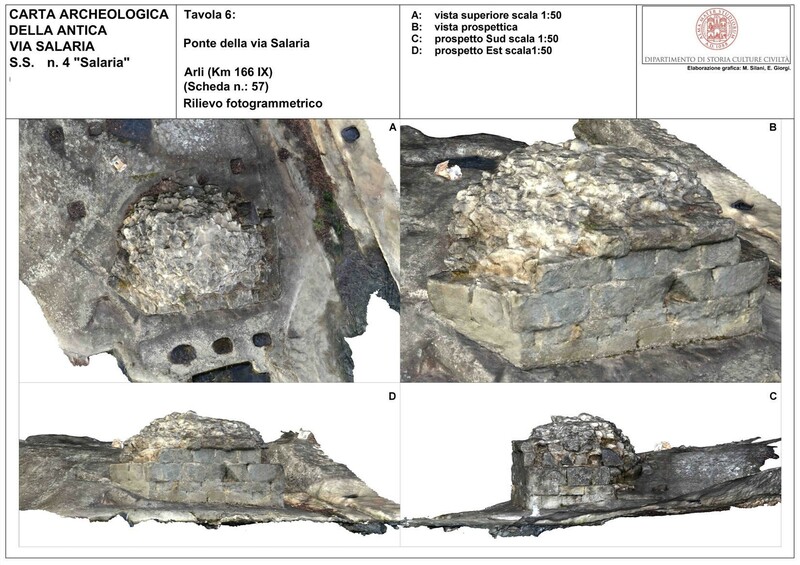 There have been further projects more recently in the same line of study in Southern Marche region, like the resumption of excavations at Monte Rinaldo and the study of the territory and urban centre of Ascoli Piceno. 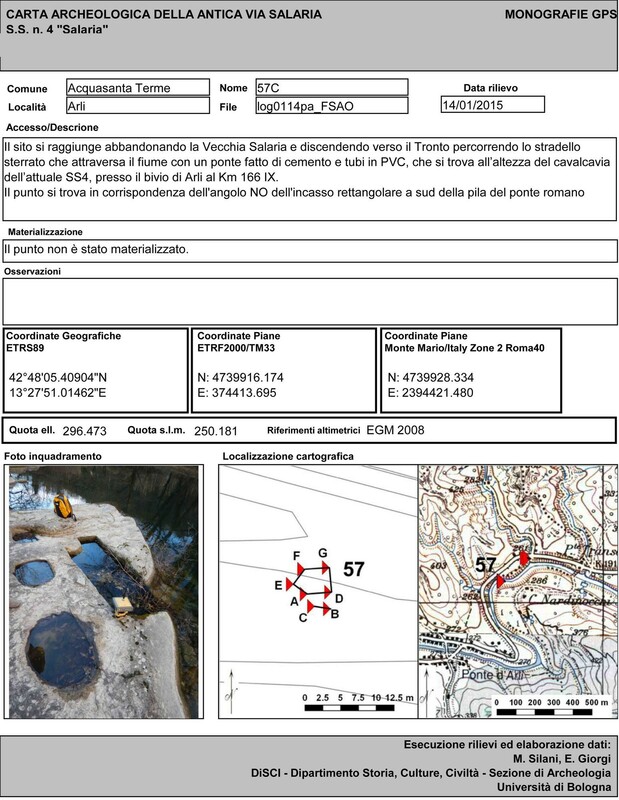 This interest lies within a wider three year project of drawing up an Archaeological Map on the Provinces of Ascoli Piceno and Fermo, promoted by the Soprintendenza (the Authority responsible for Archaeology). 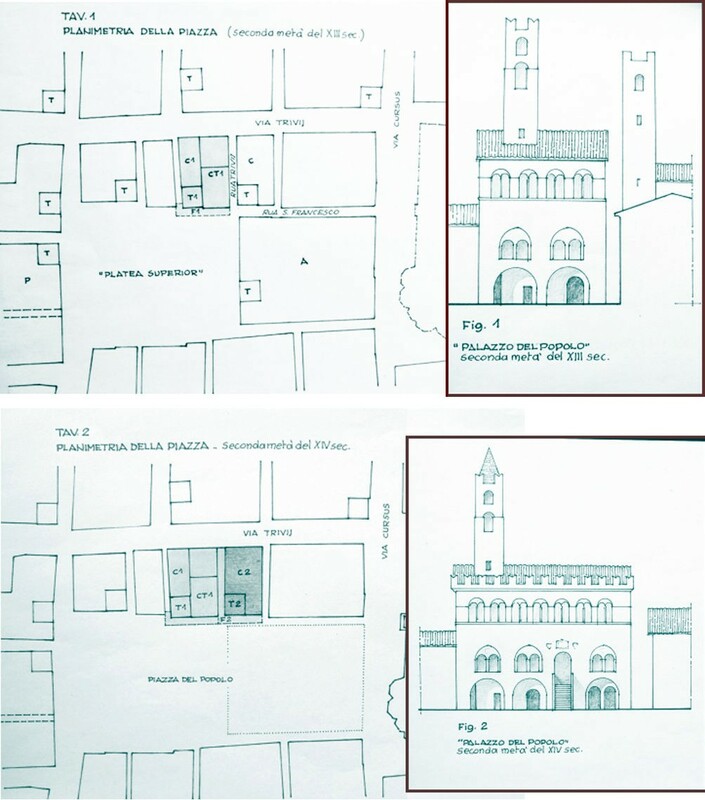 The drafting of this map by researchers from Bologna University, coordinated by the writer of this paper, was begun in 2017 and has already involved a large part of the territory of Ascoli. 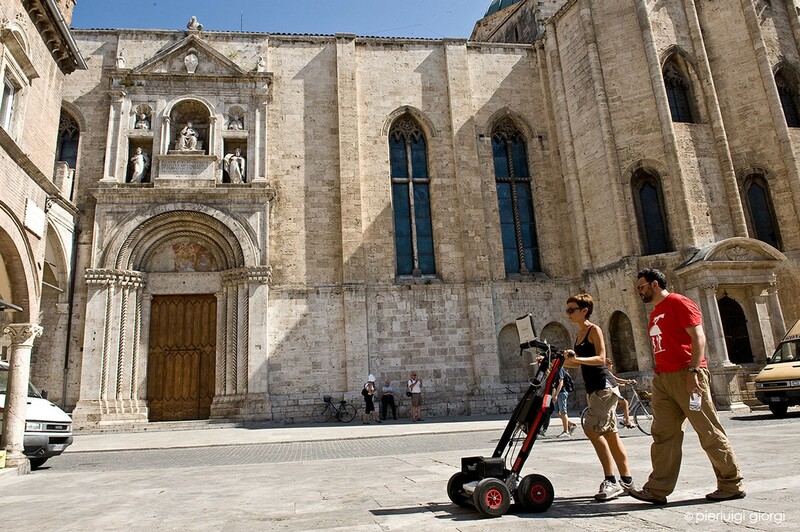 In parallel, in the context of a similar urban scale research project inaugurated in 2012, a Map of the archaeological Potential of the historical city centre of Ascoli based on the characteristics of Preventive Archaeology was drafted. 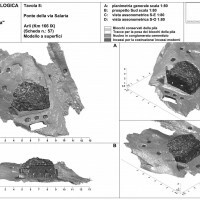 Finally, a map of the remains of the ancient Via Salaria in the territory of Ascoli was drawn up just before the earthquake in 2015 . 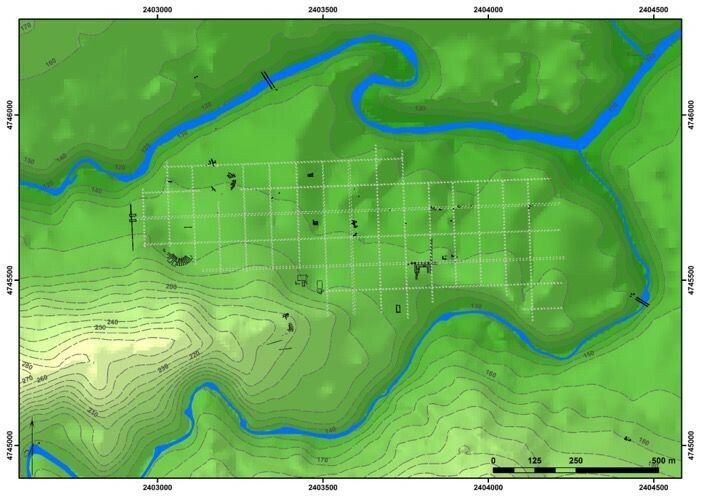 Therefore, this is a matter of three different lines of research dedicated to the territory, to the ancient road network and Urban Archaeology, within a united programme of study of the Southern Piceno (the Roman Picenum). In all these cases the projects were conceived with the purpose of bringing together safeguarding needs with those of research and development. Results were obtained through an effective collaboration between the relevant institutions, respectively the Soprintendenza, the University and those bodies involved in governing the territory. This way of working allows important projects to grow without necessarily incurring in heavy financial costs because, in most cases, individuals work within their mandated institutions, with the subsequent optimization of resources and personnel involved. 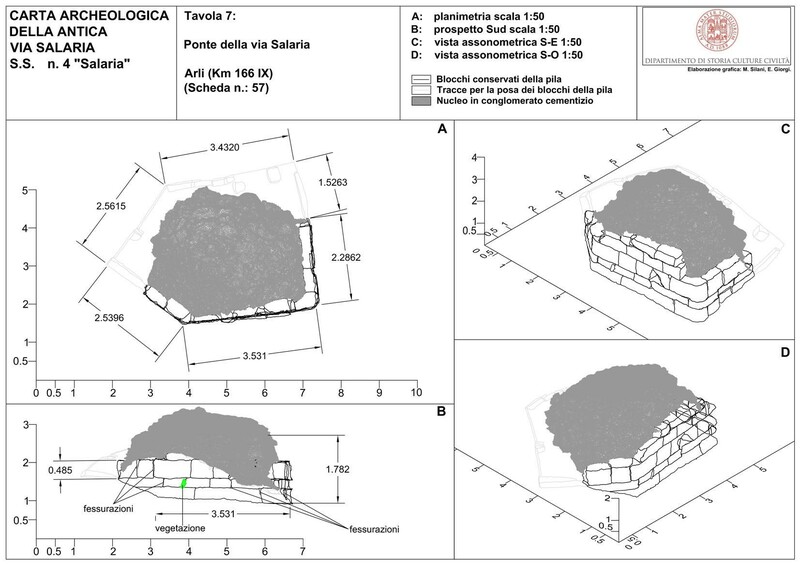 The active involvement in research of archaeologists already present in the territory as well as local cultural associations that are sensitive to the themes of research dissemination is also part of this perspective, in the belief being an archaeologist is a privilege that involves assuming some cultural responsibility . Every time that we put our hands into the ground to recover pieces of history or we take pieces of that history hidden in warehouses, in the archives, map or revealed by satellite images it would be important not to forget that this history does not belong to us but must first of all be given back to those who still live in this land. For example, this cultural reimbursement can serve to reward citizens for the inconveniences caused in the streets or the piazzas of their cities. Above all it serves to reduce the distance between the professionals and the common people by involving them and increasing awareness of the role that archaeology can play in reinforcing their historic roots. 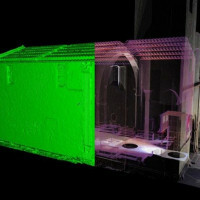 Finally, this collaborative management of the territory’s archaeological heritage lets the archaeologist resume the role of protagonist to bring about the necessary changes for continuing to live in the same places that were already marked by history and to overcome the idea that archaeology is an obstacle to progress of the countryside, especially in the urban context. 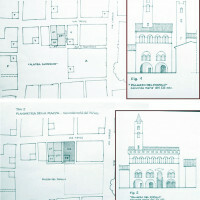 The Archaeological Map of the Provinces of Ascoli Piceno and Fermo came from a happy intuition of the colleagues in the Soprintendenza who knew how to exploit the potential given to the field by recent legislation on Preventive Archaeology in Italy and by the important support offered by the company Cicli Integrati Impianti Primari (CIIP Vettore) to a research project implemented by Bologna University researchers. 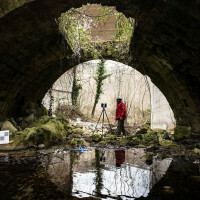 This will allow us to have a tool to direct research as well as safeguarding Preventive Archaeology, also helping to save in terms of design for the necessary development of modern infrastructure needed in the territory. This three year programme is still underway and requires mapping on a shared geographic database of all the archaeological emergencies known in the two provinces. 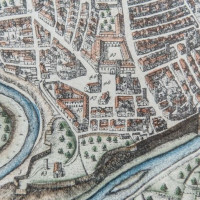 Added to the cartographic, bibliographic and archival studies are the surface surveys that are currently being conducted by sample in the surroundings of Ascoli Piceno and more recently along the ancient Gallic Via Salaria. There have also been aerial and geognostic surveys and stratigraphic evaluations in collaboration with Rome’s British School around some places of particular interest, such as Monte Rinaldo. 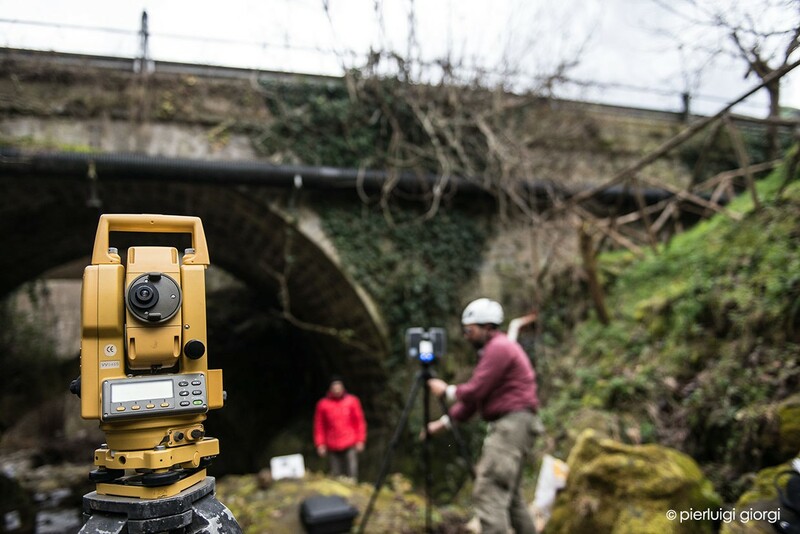 Working together with CIIP’s technicians and combining geological and geomorphological studies with the historical topographical study, a Map of Archaeological Potential can also be created. For the immediate future, we plan to extend surface and geophysical surveys areas and also provide more space for systematic aerial surveys, which have already yielded great results in the central-southern areas of the Marche region. Nor do we exclude expanding the project by reinforcing the historic collaboration with colleagues from other universities. 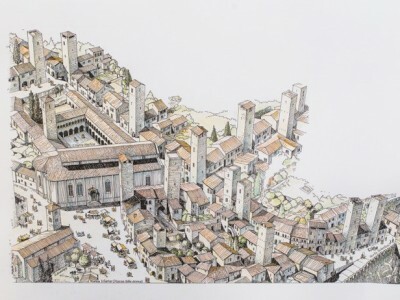 As is well known, the Via Salaria was mostly the result of laying out of a route during the reign of Emperor Augustus that, passing through the historic centre of Ascoli Piceno, would link the Piceno area with Rome and the Tyrrhenian coastal areas. 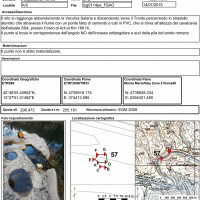 The mapping of the remains of the Via Salaria enters into the same logic we have just stated but in this case the collaboration between the archaeologists of the Soprintendenza and the University was carried out in anticipation of an important infrastructure redevelopment project promoted by the regional ANAS (the government body responsible for roads and highways). 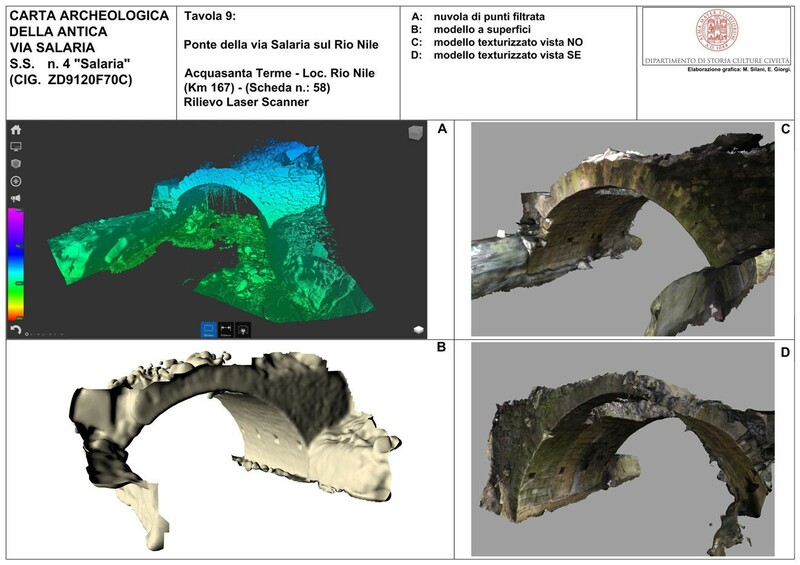 After the desktop plan and archive study phase the survey involved the path of the ancient Roman consular road in the Valley of the Tronto river and the drafting of new surveys of the surviving structures, with photogrammetric methods and laser scanners and using precise positioning with topographic GPS. 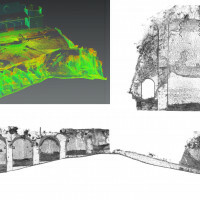 Orthophotography and topographic mapping in general were used as the basis for the critical reading of the remains, according to methods of archaeology of architecture, as well as to highlight risks for preservation and any static risk. This way, a review of the historic documentation was carried out that produced reliefs of bridges, substructures, retaining walls and other works of art typical of Roman road engineering. Some particularly significant reused features were also catalogued, such as epigraphs or milestones placed in sixteenth century buildings or reused as altar supports in the villages near the road. 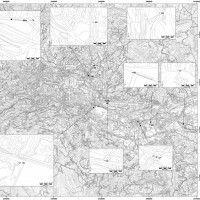 Large, now lost stretches of the ancient road network have been recognized and mapped with GPS tracks, such as through the fascinating Bosco di Castagne Coperte, upstream of Quintodecimo. 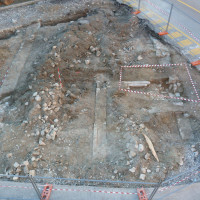 Traces of previously unknown wooden bridge gates were found at Trisungo and remains of bricks, characteristic of Roman spas, were found at the church of San Salvatore, where the Surpicano postal station can finally be positioned. 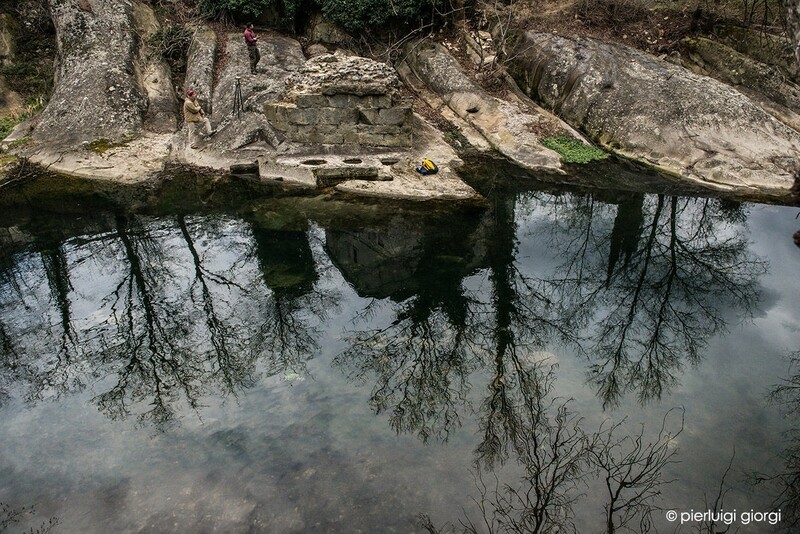 Above all, this recognition allows us to have an analytical documentation of the state in which these ancient Roman constructions were built before the damage caused by the recent earthquake in the Sibillini Mountains. Therefore, this could be a starting point for future projects involving securing and enhancing buildings. In fact, it is worth remembering that large stretches of the historic Via Salaria are now part of the fossil road network that lies outside of the new high speed structure and could be a fantastic opportunity to create alternative tourist routes or cycling tracks that gradually rise into the heart of the Apennines among stunning landscape (Figg. 8-10) . 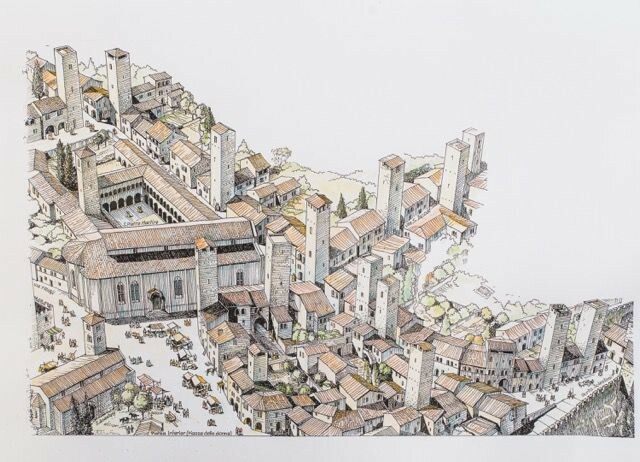 A study of the main inhabited centre using appropriate methodology had to be part of this large project for the reconstruction of the ancient Picenum landscape. 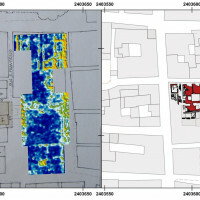 The study of the development of the urban landscape of the historical city centre has used this opportunity with the Local Council to share purposes and operation methods as well as to create a shared tool for governing the changes in the inhabited space. 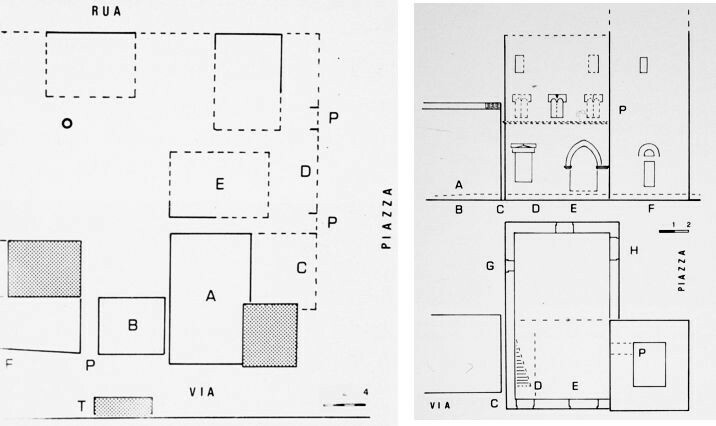 Having to work on an urban scale, the methodologies have been refined and adapted to the greater complexity and stratification of the context under analysis. Great space has been reserved for the analysis of the archives and the city’s historic land register. 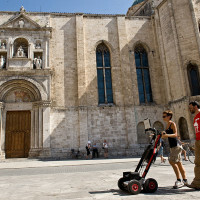 Above all, through a series of school summer camps, a systematic ground penetrating radar mapping of the main open areas such as piazzas, open spaces, avenues and gardens, has been completed, with priority given to the areas in which urgent urban renewal interventions are being planned. This way archaeology has become a resource as early as the planning stage and not an obstacle for improvement of the urban space as was the case, for example, for Piazza Ventidio Basso where the integrated study of the historic land registry and the geophysical maps allowed the reconstruction of changes of this important piece of the medieval city (the platea inferior dedicated to the fabrics market). 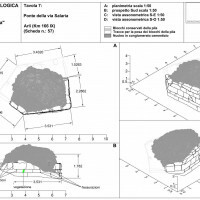 Furthermore, critical reading of the geophysical anomalies, also founded on the recognition of the modern infrastructures and historic buildings that are now demolished but are present in the land registry of the time, has also allowed the orientation of the stratigraphic testing by professional archaeologists in the context of ordinary urban archaeology interventions. 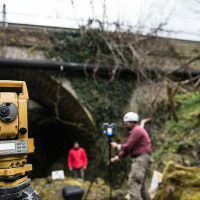 In this sense the collaboration with the University has taken nothing away from the work of other archaeologists, but rather it has provided them with more tools for evaluation of the buried deposit and more. 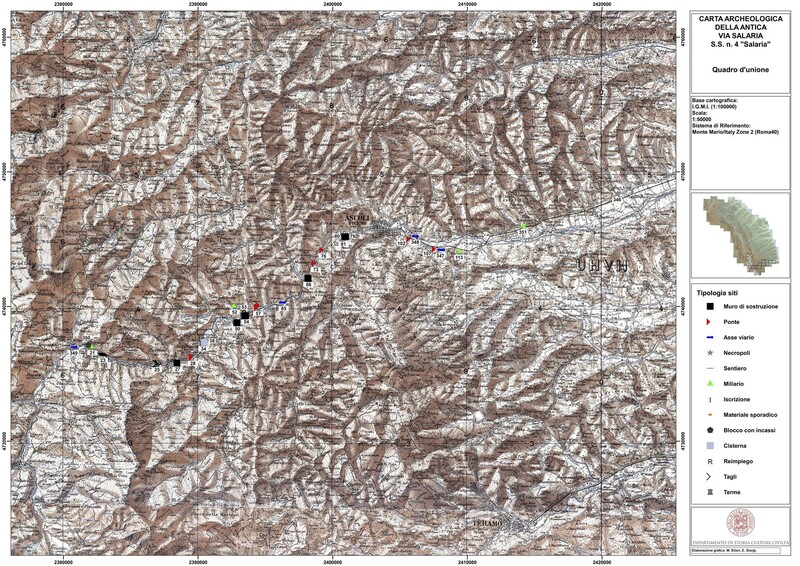 The active collaboration between archaeologists of various sectors has allowed us to prepare a shared database that also includes the data collected from time to time in the field (a perfect synergy between research-driven and compliance-driven archaeology). Finally, data has also been acquired from the cores normally commissioned by the Council’s technicians before every modern building intervention. In this way it was possible to reconstruct the passage of the ancient paleosol, substantially without other costs except for those of the mutual collaboration. The study of the exceptional architectural setting that characterize the city has not been neglected either. 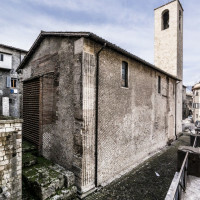 As an example, just think of the Corinthian Temple incorporated in the Romanesque church of San Gregorio Magno and the imposing substructures of the Annunziata from the late republican era. 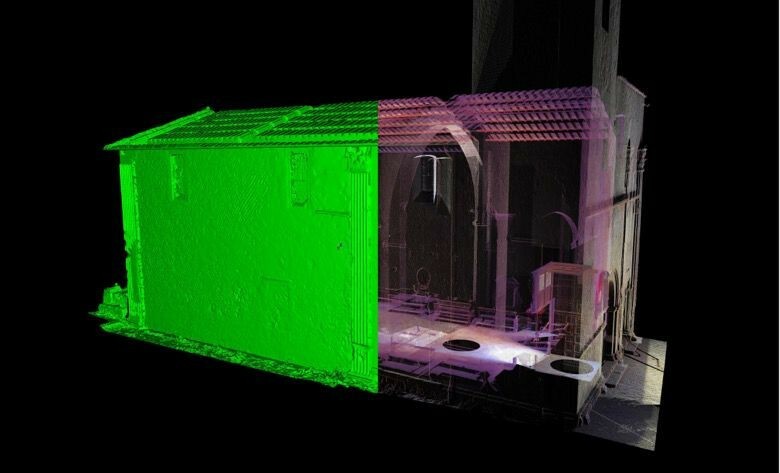 In this case too, laser scanner surveys and critical readings of the elevations were carried out that were also very important to assess the recent damage caused by the earthquake. The effects of the research, on a purely scientific level, were also significant. 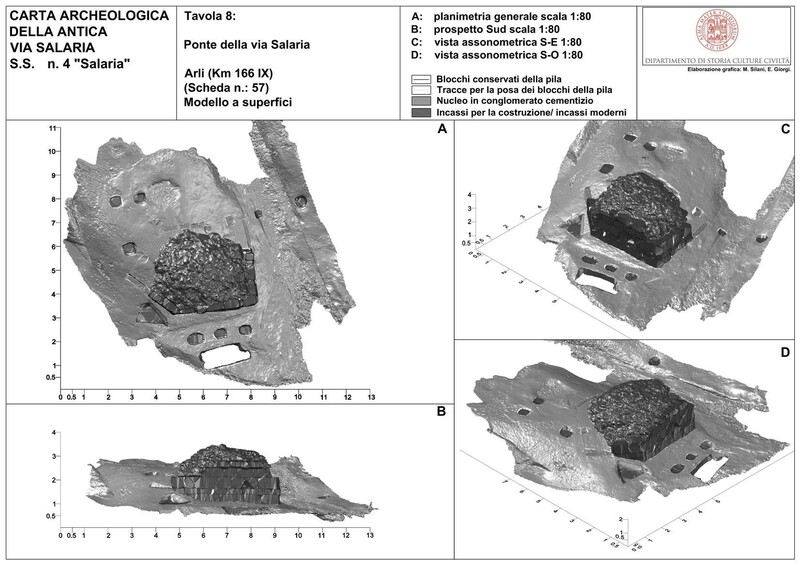 By way of example, we can remember the studies of the ceramic remains found during the recent excavations of the Sanctuary of the Hill of the Annunziata, which threw new light on the urban genesis and more generally on the complex phenomenon of the Latin acculturation of the inhabitants of the Picenum. 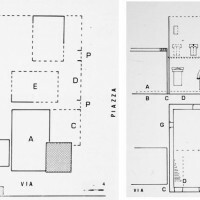 Finally, the analysis of the information derived from the geophysical investigations of Piazza del Popolo is also worth noting, interpreted in parallel to the study of the historic archives, as seen at the time, and the review of the archaeological complex close to the Palazzo dei Capitani. 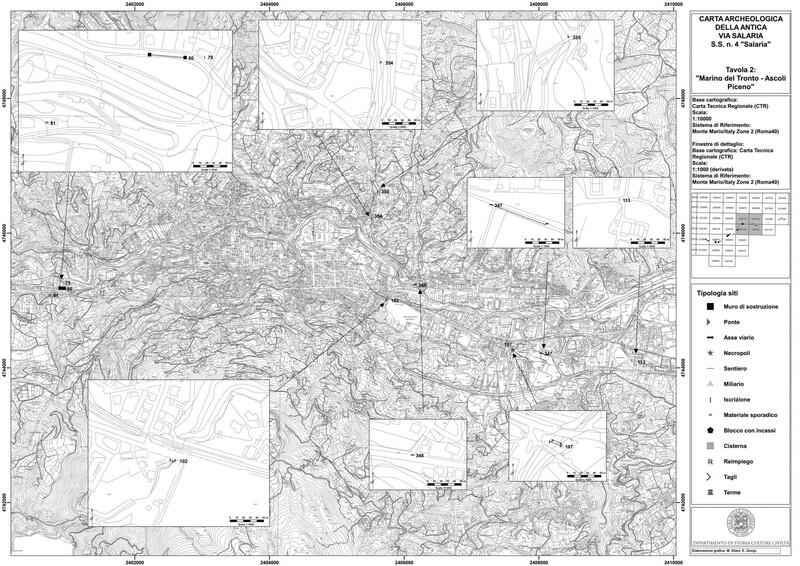 This integrated study let us renew the hypothesis on the form of the ancient city and on the location of the Forum. 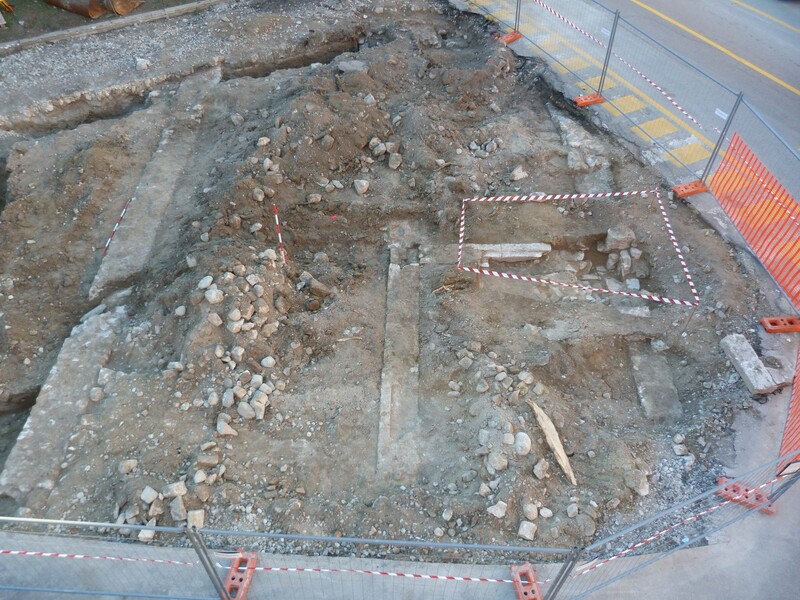 In fact, we were able to recognize the buried remains of medieval buildings in the most superficial anomalies. 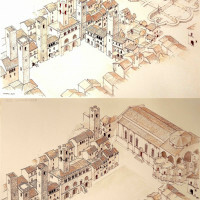 These were demolished in several stages to reach the extension of the current piazza, with the construction of the Convent of San Francesco, while the deeper anomalies, set at the same depth of the Roman period remains preserved under the Palazzo dei Capitani, have been referred back to the urban structure of the Roman colony. 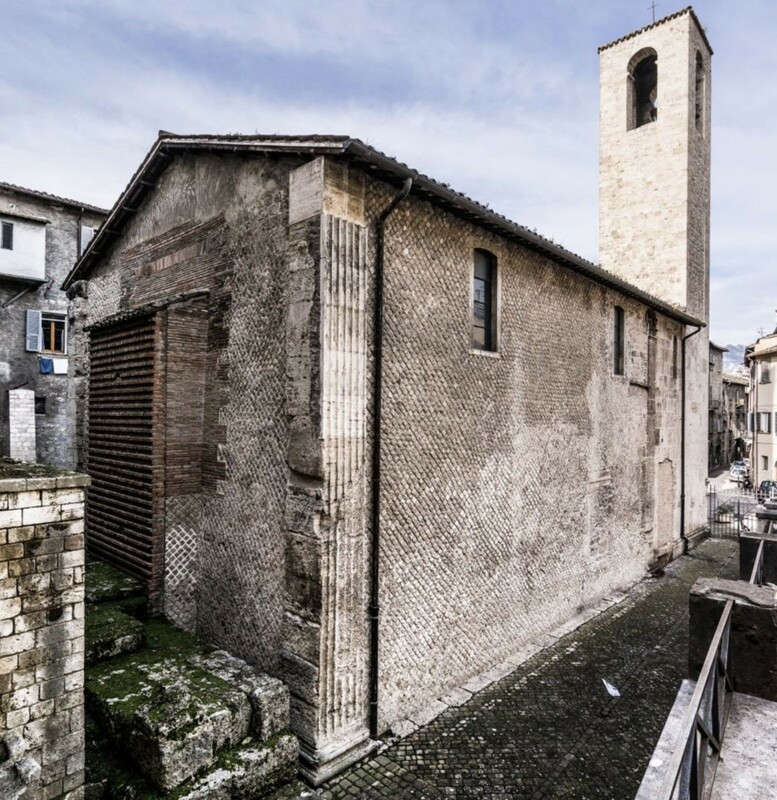 The results obtained on the scientific level and above all in the institutional collaboration make Ascoli an exemplary case of preventive archaeology in an urban context (Figg. 11-19) . Fig. 16. 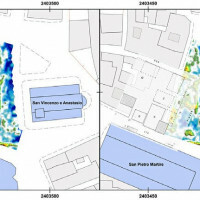 GPR survey in Piazza Ventidio Basso (depth of the slice-map: 0.60-0.80 m): on right, overlapping with an archival document (from Sestili, Torsani 1995) which attested in the medieval period the presence of structures in correspondence of some radar reflections (by F. Boschi). Fig. 18. 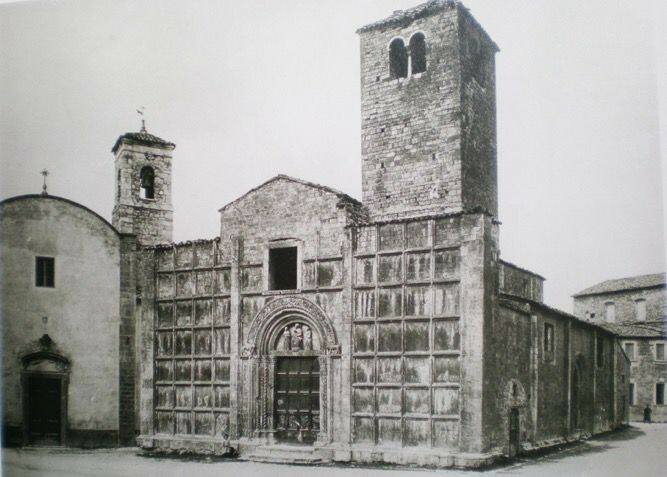 The church of San Vincenzo and Anastasio and the Oratory of San Rocco before destruction. Fig. 22. 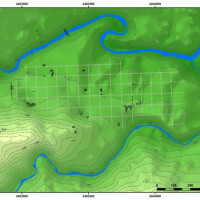 Map of the Roman paleosoil of Asculum, and the reconstructed urban plan. Paci, Gianfranco, ed. 2014. 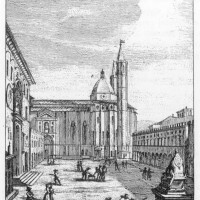 Storia di Ascoli. Dai Piceni all’epoca romana, Ascoli Piceno. Giorgi, Enrico. 2016. 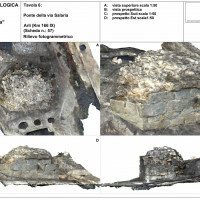 “City Archeology in the Adriatic Area: the Cases of Burnum in Dalmatia and of Suasa and Ascoli in the Marche Regio”, in Looking to the Future Caring for the Past. Preventive Archaeology in Theory and Practice edited by Fedrica Boschi. Bologna: Ante Quem 2016: 101-123. Giorgi, Enrico and Michele Silani. 2016. 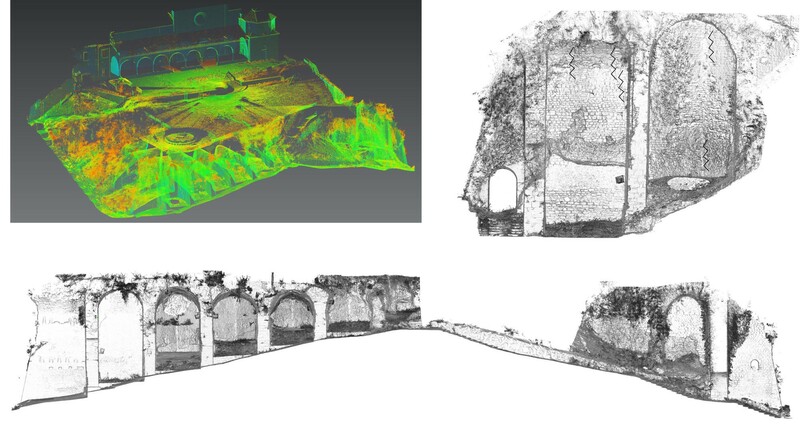 “Retracing Ancient Roads: Reconaissance and Three Dimensional Topographica Surveys in the Via Salaria Project”. Quaderni dei Careggi I.4: 171-179. Boschi, Federica, Enrico Giorgi and Michele Silani. 2017. 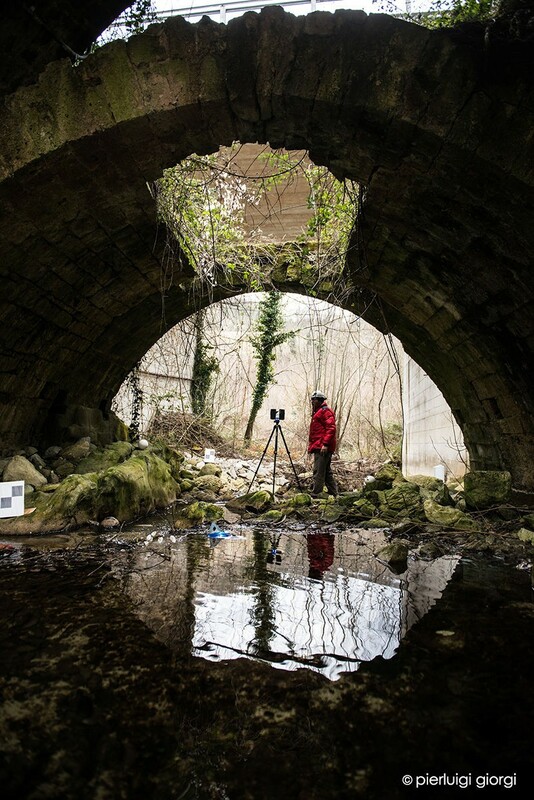 “Recontructing the ancient urban landscape in a long-lived city: the project Asculum between research, territorial planning and preventative archaeology.” Archeologia e Calcolatori 28.2: 301-309. Giorgi, Enrico and Filippo Demma. 2018. “Riflessioni sullo sviluppo urbano di Asculum nel Piceno dalla città federata alla colonia romana”. Atlante Tematico di Topografia Antica 28: 53-76. Giorgi, Giorgio. 2013. 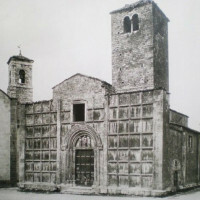 “Il teatro dell’antica Quintana: la piazza dell’Arengo”, in Ascoli ai tempi dell’antica Quintana 1377-1496 edited by B. Nardi and S. Papetti. Ascoli Piceno: 54-63. Giorgi, Giorgio. 2014. 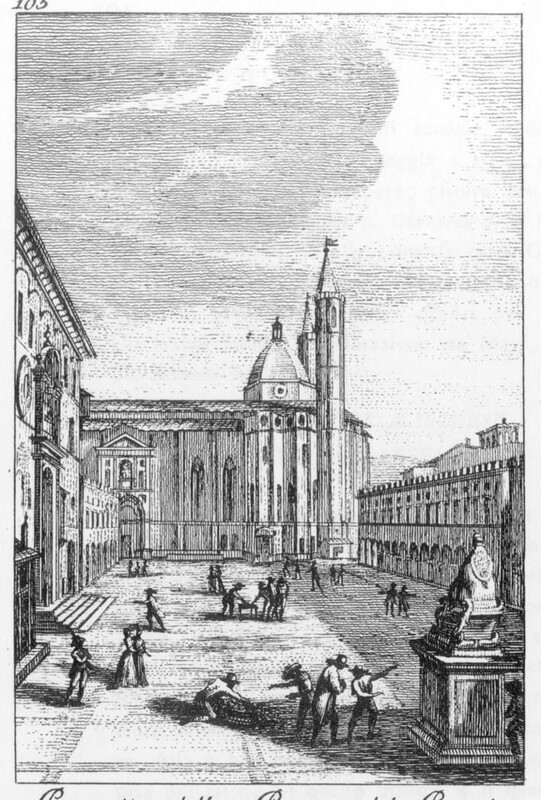 “Piazza Arringo e Piazza del Popolo nel Cinqucento, tra Quintana e palio”, in Ascoli nel Cinquecento. Giostre Palio, Rime e ‘Nzegne edited by B. Nardi and S. Papetti. Ascoli Piceno: 94-109. Sestili, Osvaldo and Anna Torsani. 1995. 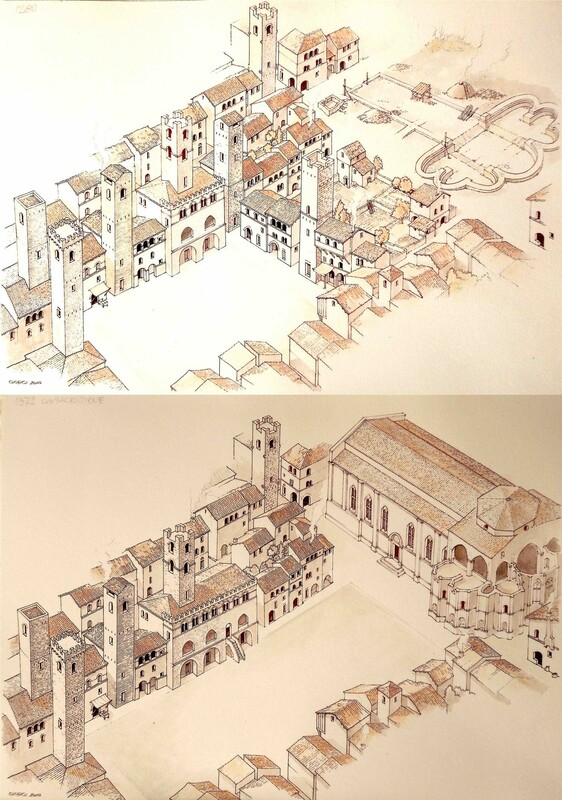 Ascoli e l’edilizia privata medievale: nei secoli XII, XIII e XIV, Ascoli Piceno. Speranza, Luca and E. Ferranti. 2018. 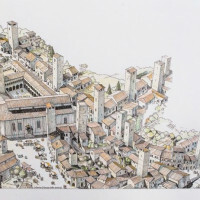 “Un’anteprima degli scavi di Piazza Ventidio Basso ad Ascoli Piceno”, in Economia e Territorio nell’Adriatico centrale tra tarda Antichità e alto Medioevo”, (in press.). 1. Boschi et alii 2017. 2. Giorgi 2016; Boschi et alii 2018. 4. Sestili, Torsani 1995; Paci 2014; Giorgi, Demma 2018; Giorgi 2013, Giorgi 2014; Speranza Ferranti 2018; Giorgi 2018.